Confidently Held Misinformation (CHM), misinformation that is falsely relied on as if it were true to make decisions within an organization, is a common term used at amplifire. Why do we make it our priority to identify and eradicate CHM? 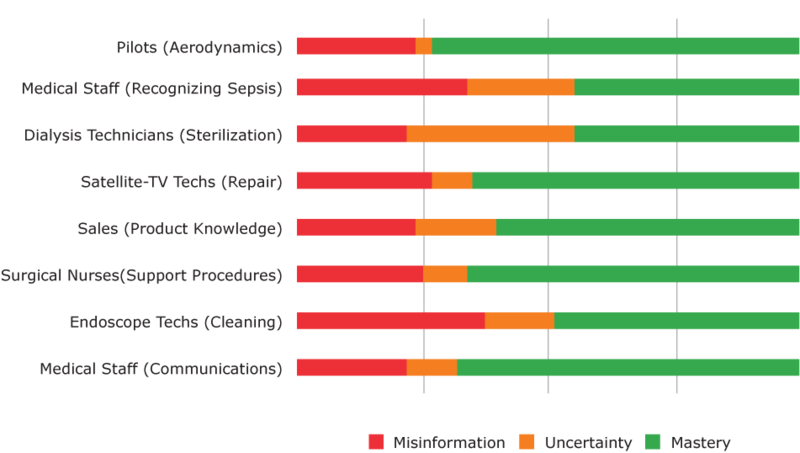 Our clients have found an average of 31% misinformation in their organizations. This indicates that within their workforce, almost a third of employees’ knowledge is unknowingly incorrect -- which opens the door to risk, harm and loss for both themselves and their clients. Risk that most organizations encounter stems from bad decisions that are made with false information employees feel confident in. Confidence tends to be projected even when it is not justified to display authority and expertise. 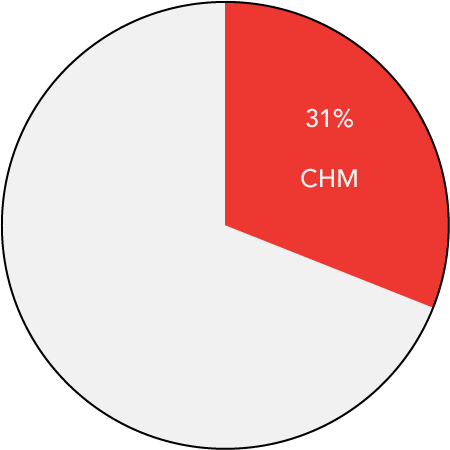 The graph below shows the percentage of CHM amplifire has uncovered throughout various industries and among thousands of working professionals —from doctors to pilots to satellite TV technicians. Notice that the level of misinformation is similar across industries. 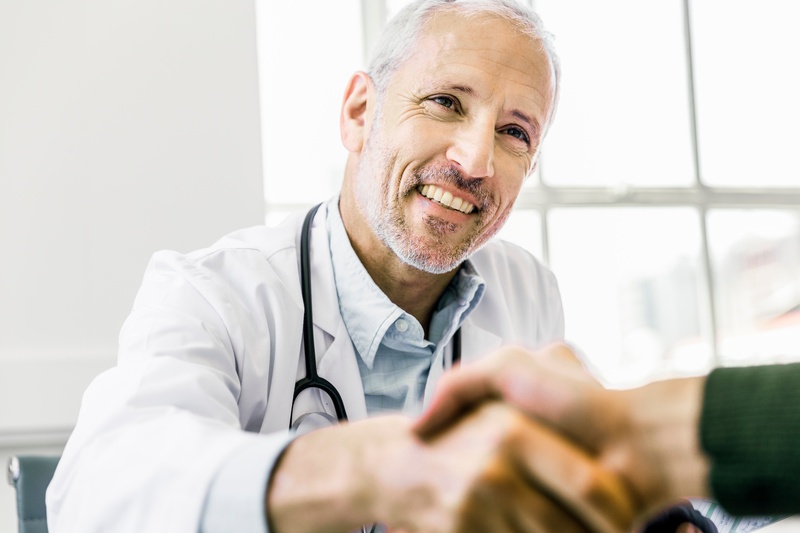 Everyone is susceptible to CHM within their profession. Confidently Held Misinformation has brought down businesses, changed lives, and affected innocent bystanders. What harm could CHM do in your organization?